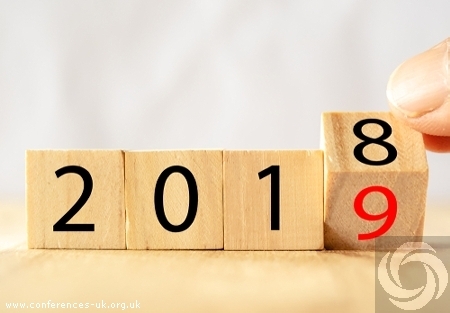 Now that Christmas is far behind us, and we are in 2019, what do venues in the UK need to know about event trends for this year? Well, the event world is growing and evolving quickly every day, and so venues need to stay on top of what the trends in events are so that you can stay ahead of the curve. CWT Meetings and Travel, a global company, recently reported that their research had shown that there will be a 5-10% rise in the demand for event venues this year. On the other hand, CBRE has forecast that the supply of venues in the UK will see a 2% rise. The fact that there will be an increase in demand for venues, coupled with a lack of venue availability means that it may get harder to book the perfect venue and there may also be a rise in rates as well. If you are looking to book venues in UK then the advice would be book it now - as the longer you wait, the more you will probably have to pay or you may face the prospect of not being able to book the date that you want, and having to settle for a different venue. One of the things that is driving the 5-10% rise in the demand for meeting and event venues is the increase in willingness of brands to invest in events as part of their marketing strategy. This could be due to the face that many people are tired of being behind a screen all day, and are willing to attend face-to-face networking events in order to meet other people in their industry. When you are planning your event, therefore, you need to make sure there are lots of spaces for people to meet - not only privately but also by moving about freely and talking to people. Recent research shows that 71% of event attendees report that the destination is a big factor in their decision to attend an event, with around 20% saying it is the most important factor. The same research also showed that if attendees enjoyed their experience at an event, then they would return to the venue for leisure purposes. When it comes to planning an event then, you not only need to make sure the event is planned to perfection but also that you include local dining experiences, team-building activities and cultural activities as well. This means that finding exactly the right venue in exactly the right destination becomes even more important. Millennial make up a large proportion of the workforce nowadays, and this means that more and more of them are now attending events. And one change in events that they are pushing is having more control over the agenda! This personalisation can be achieved by creating personas based on event data, however, data collection itself is becoming more and more complex. This year will see event managers being able to use data and engagement tools to ensure their events are shaped to meet each individual's needs. Some of the most popular personalisation tools that we have seen used are live polling to not only source live feedback but also shape the agenda as the event is taking place. The line between festivals and corporate events has already started to blur, and we will see more of this happening in 2019, as festival themes are a great way to encourage attendee engagement. One easy way to add a festival feel to your event is to book performers to entertain the attendees. If you are planning a larger event, however, you should ensure your venue is not only exclusive to you but that your attendees have access to various spaces within the venue. This could mean that you look outside of the normal hotel venue, and go for something like a convention centre or even something outdoors. The focus on health and wellness that we have seen recently, goes far beyond fitness and encompasses mental health as well. Wellness is therefore influencing events in many ways, including agendas, breakout room setups, lighting and so on. Offering attendees mindfulness areas where attendees can unplug and recharge themselves will help people to step away from tech for a time. You may even want to offer massage as well. Look for venues who have already embraced this trend, with state-of-the-art gyms and locally sourced organic menus. Hotels are becoming less popular choices for many events these days, with lots of event planners thinking outside the box and opting for more unusual places to hold their events. Again, a lot of this is being pushed by millennial who prefer unorthodox spaces. This doesn't mean that hotels are old news now, far from it, hotel venues can also offer event planners unusual spaces within their hotel, such as roof gardens or outdoor spaces, in order to keep potential business flooding in. If you are searching for a venue for conferences in London, or indeed anywhere in the UK, then get in touch with Conferences UK.